When we want to enjoy a picnic or a pool party in our backyard then one of the biggest problems is those nasty mosquitoes that can ruin even the best planned-out dinner party. Mosquitoes usually live in moist and warm environments and as well as giving you itches everywhere they sting they can also spread disease like malaria. 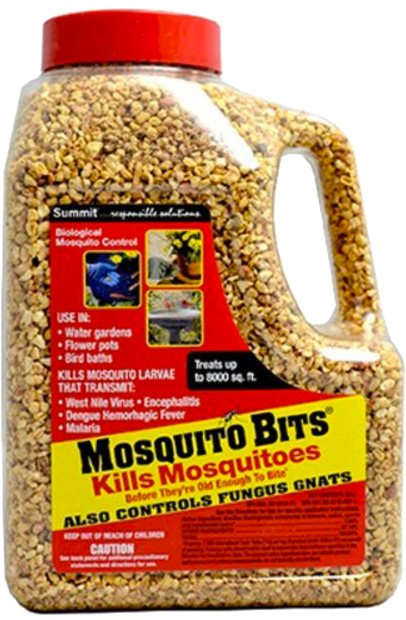 One of the best ways to get rid of these nasty creatures is to spray various insecticide around your backyard and let it kill these insects but because mosquitoes are so small conventional spraying methods will not work and you need to create a fine mist or also known as fog. And here we come to these mosquito fogging units that are self-contained mosquito killing machines that take insecticide in on end and create a fog on the other end. 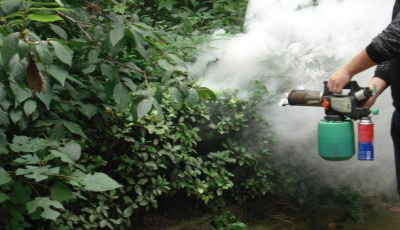 Basically a mosquito fogger is a device that creates a fine mist from a insecticide solution and this mist or fog then can be applied around your backyard and will repel and kill most of the mosquitoes in the sprayed area. 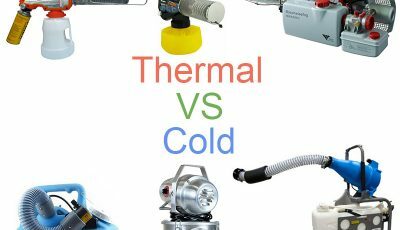 These fogger units come in various shapes and sizes but the most popular types are Thermal and ULV foggers where Thermal foggers are further divided into Electrical and Propane models. Of course there are various advantages and disadvantages to each technology but they are all made to create the same effect – to make a fog that has a droplet size from 2 to 10 nano-meters that will stick to even the smallest mosquitoes and will not allow them to escape. If we look at one particular technology the propane thermal fogger then we can see that this device has a propane cylinder at the back and a liquid solution tank on the bottom but at the front there is a thermal heating element that will create that smoke/fog mixture needed for exterminating those mosquitoes. 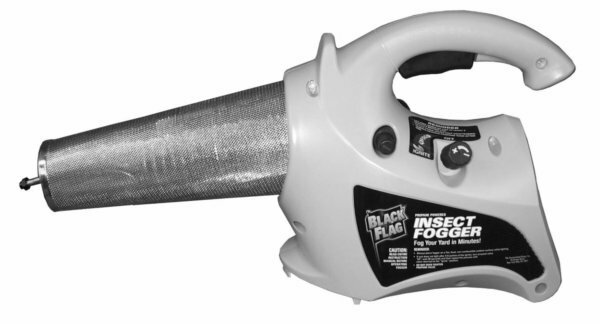 This fogger unit looks like a strange gun because it has a trigger and is hand-held but that design is very easy to use as you just have to move around, point in the direction where you think the mosquitoes are hiding and press that trigger to release that fine mist upon them. 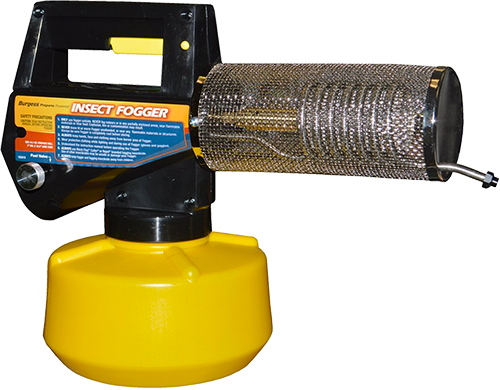 These mosquito repellent foggers are usually very effective as you have to fog your backyard an hour before the party and you can have up to 12 hours of mosquito-free time there. 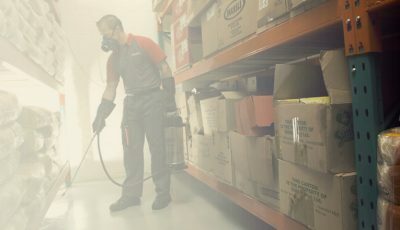 But if you want to completely get rid of these nasty creatures then you can utilize a fogging schedule where you fog your backyard every day for the first week, every other day for the second and then in the third week you can switch to only once a week to kill off the newcomers. If you utilize this fogging schedule then you can almost completely get rid off these insects and spraying the solution onc a week is not that hard to do, especially if it allows you and your kids to have a great time without these insects.